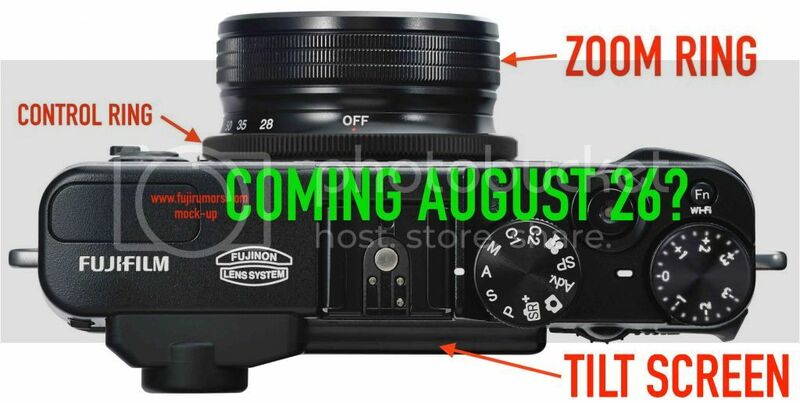 An anonymous source told me that the Fujifilm X30 will be announced on the 26th of August. It confirms it has the same lens and sensor of the Fujifilm X20, it’s a bit bigger, has quite a different design than the X20, features a fast EVF and WiFi. It also confirms the new film simulation mode ‘Classic Chrome’ (we first heard from a source, who was right in the past, about the Classic Chrome film simulation. Now, apparently, the Fujifilm X30 will be the first camera featuring it). I’ll try to confirm the announcement date with trusted sources. For now, take it with a grain of salt. Now, also other 2 sources shared some specs, which are not really a surprise, but I’ll share them out of a pre-emptive self-defense, because if I wouldn’t share it, there would be some reproaching me for not being able to see it coming ;-). The rumors come from a new soure and an anonymous source, but, as said, I really think that this will be part of the new features of the X30. – The X30 will feature a 3“ Tilt Screen (2.8-inch on the X20) and the a 2/3 12MP sensor X-Trans II – (anonymous source).